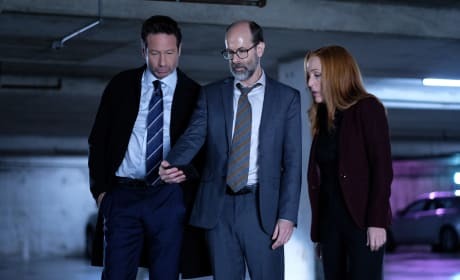 The guy pulls out his phone so both Mulder and Scully watch with him. 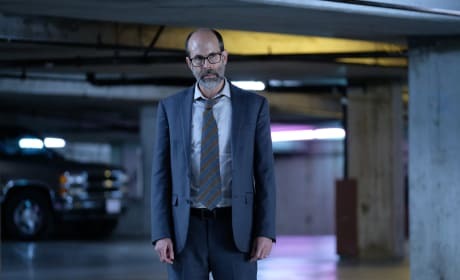 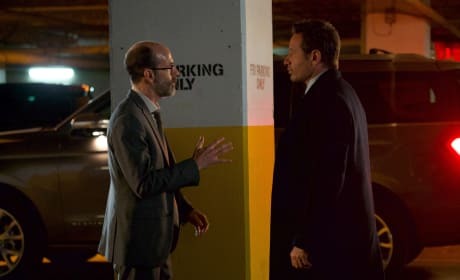 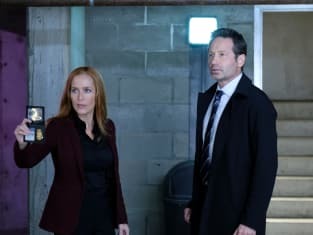 Some guy accosts Mulder in the parking lot, but who is he? 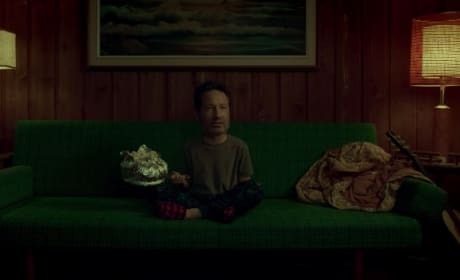 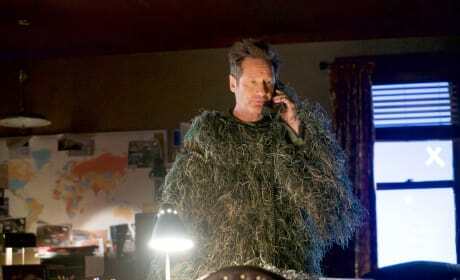 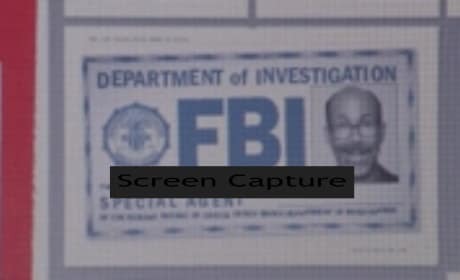 Why would a man be telling Mulder shame, shame, shame? 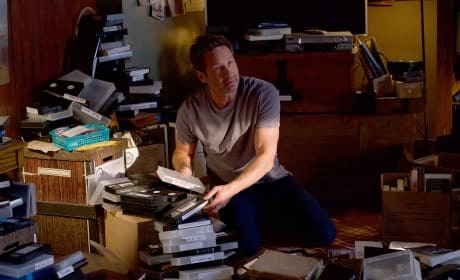 Mulder scours his VHS tapes for what can only be his favorite episode of TV. 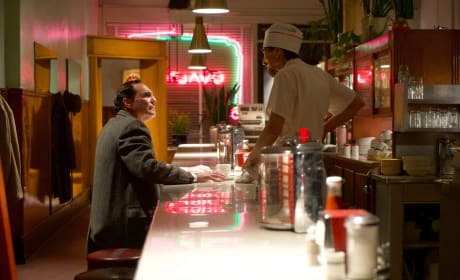 A very upset man heads into a local diner to discover something very scary.